The 2015 Spine Race has drawn to a close and sleep patterns for both racers and staff are now normalising. With some time for reflection (and to move house three days after the race finish) now is a good time for me to share some thoughts and votes of thanks. Firstly, a huge thank you to all members of the Mountain Safety Team. Your time and commitment has been a key component in the successes and achievements of the 2015 Spine. Also with half the MSTeam laid out with a heavy cold just before the event, thanks to the volunteers who joined us at short notice. It was a pleasure working with you and sharing the camaraderie which has been a key feature the race. Indeed it has been said that working on the Spine is tougher than being a racer. I'll leave that to others to make the final judgement. But with the weather doing its very best to throw our plans out of the window, your long hours and dedication in testing conditions to offering racers the best possible support, on location, on standby and in sweeper teams did not go unnoticed. The Spine Race is now in its fourth year and as it matures each year we have learnt from what went well and what we could do better. With a healthy number of competitors now on the race starting line it was considered that we needed to take a new approach to our mountain safety strategy. So early in 2014 we set out to build a robust safety team centered around a deployment plan with detailed timings and locations. We also sought to add specified rest periods so that everyone had sufficient opportunities to rest, eat and sleep. It was of particular importance to have fresh teams in place throughout the race as one, if not the, highest demand has traditionally occurred in the final hours of the race, over the Cheviot hills. We recognised that although we have borrowed from MRT methods, we should not pretend that as a team we have the same capability, training or access to resources as MRT. Hence the Mountain Safety Team had a remit of being in positions of most usefulness and early intervention so that racers in difficulty could be walked to places of safety before they deteriorated further. Anything more technical than this would be referred to Police-Mountain Rescue with us in a supporting role. The result was that we formed a multi-skilled team with experience drawn from: mountain leaders, mountain guides, mountain & lowland rescue, alpinists, hill walkers, ultra runners, serving forces and blue light emergency services. 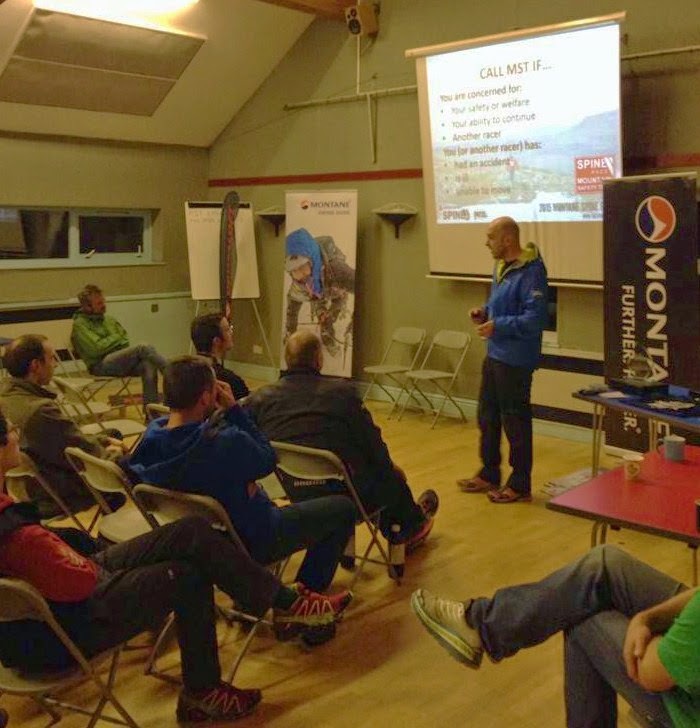 We tested the strategy at the November Spine Race training weekend. The training weekend itself took a new format. Instead of the Mary Townley Loop bridleway, based at Hebden Bridge, we chose a new more challenging route based out of Edale. The weekend started with key speakers from a variety of backgrounds, all with relevant and insightful Spine Race stories and information to share. Darren Hunt (Spine MST Coordinator, Mountain Leader & Buxton MRT), spoke about his close call with hypothermia during the 2014 Challenger. The hallucinations he described of enormous spiders and elephants on the summit of Stoodley Pike drew many smiles. However, by generously sharing his experience, Darren underlined the point that the spectre of hypothermia can bring down even the most experienced outdoors person if caught in the wrong circumstances. Darren also added words of wisdom on how to prevent and manage other effects of race attrition. Gary Morrsion (Spine Race 2012 Winner, 2013 & 14 Finisher. Spine Challenger 2015 finisher). Without sparing his blushes, to many, Gary is Mr.Spine. A triple finisher, with now the 2015 Challenger to add to his impressive palmares. Yes, there are elite athletes out there who have been quicker since his joint win with Steve Thompson but his solid and consistent approach are a great 'everyman' starting point for anyone considering entering The Spine. For his talk Gary gave a comprehensive guide to each item of kit and clothing he uses, with many insider tips and advice. Stu Westfield (Spine MST Coordinator, Mountain & Expedition Leader). Having worked on The Spine since the first race in 2012, I have witnessed many inspiring feats of achievement from the winner to seeing the last racer safety into Kirk Yetholm. I have also been there when the 'wheels have come off' a racers strategy, there is no pleasure in seeing months of training, emotional and financial investment end in a DNF. But there are always lessons to learn and any Spiner looking to develop a race finishing strategy can benefit from doing some research. For my talk, I shared my observations from 'the other side of the race' with extracts from my 'Complete Racer' training course, strongly recommending navigation and hill skills practice including in a winter environment! And offering some tips drawn from wider expeditioning experiences. I share this from personal experience. Many years ago my cherished dream was to climb Kilimanjaro and it took me four years to save up the money. When I flew out from the UK, I was young, fit and in the best condition of my life. Acute altitude sickness trashed my dream at 3500 metres, not even close to the summit. Flying home out Tanzania, looking through the window, the view over the summit ice fields ripped my heart out. Six months later, having borrowed the money form the bank without too much thought about how I was going to pay it back, I was again on the tarmac at Kilimanjaro International Airport. The heat, the smell of the red dust, it felt very special, like a homecoming. In the build up, I had dissected every aspect this return trip, the route, my kit, my strategy, my thinking, my contingencies. I had taken ownership of the expedition, become more independent and self reliant. I had also learnt to be humble in the face of things I could not change, accepting the easier path was always to work with nature. The result: 7 days later, just after sunrise, I stood at Uhuru Peak, the highest point in Africa. Since this time, I have moved on from being a client, to an expedition leader, returning to this most beautiful and diverse continent many times, and yes, guiding others on Kilimanjaro, sharing the benefits of hard won knowledge. The next morning, racers set out on our new training route. I designed the course to test navigation on high moor, through villages, woodland and field mozaic. There were cut off times to put an element of pressure of fast decision making and ground coverage, with a night navigation loop. All racers had to bivvy and cook meals using their own stove. At the fixed bivvy location, Spine crew stalwarts, John Bamber, Paul Shorrock, Mist the rescue dog, were joined by Pete Gabriel to provide the legendary tent based shelter, hot tea and banter that many previous racers had come to appreciate. In essence the training route fulfilled our intentions of simulating as far as possible 'the Spine - in a day'. The feedback from both new and returning racers, as well as staff, plus Race Directors Phil & Scott was that this had been a very beneficial and enjoyable learning experience all round. My only disappointment was that only 25 Spiners/Challengers chose to attend. The point I'm trying to draw out here is not to sell more places on next years training events (although of course this would be nice). But more importantly The Spine is still being underestimated by athletes. The last minute Facebook postings about sourcing key items of kit and clothing are one example of this. Of course, there is a world outside of the Spine bubble with family, work and financial responsibilities, but the time to try out new kit is months in advance. The word from racers across Europe is that The Spine is one of the toughest out there, it is an expedition ultra race. Thorough preparation and skills training are key elements to success. Every Spine Race has been different. The weather has played a significant part in determining not just the timings and locations of where racers have experienced difficulties, it has also characterised the type of attritional injuries. Spine Racers have to carry compulsory kit in order to cope with the rigors of journeying along the Pennine Way in winter. This year several racers suffered corneal abrasion by not using eye protection from the wind. Given that it is dark for 14 hours a day in January, racers need to be bringing clear lens eye protection. The racers who wore glasses still struggled with wind dying out their tear ducts. Hence full goggles would seem to be a better choice. 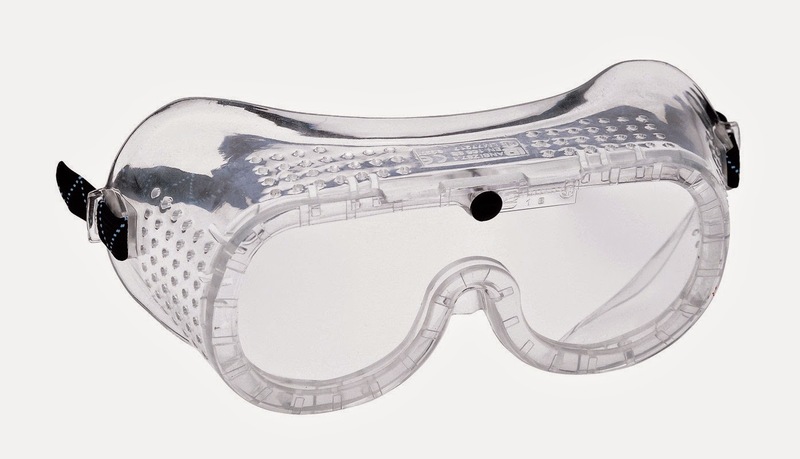 Although not the most stylish of kit for the hill, workwear PPE type goggles are a cheap (around £2-00) and effective alternate to brand names. 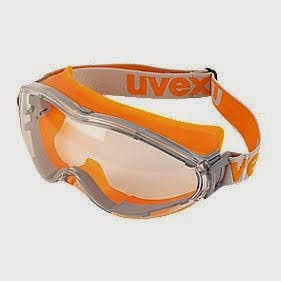 Screwfix are selling ski-style PPE goggles, for just £12-00. 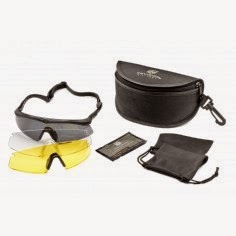 Ex-military 3 lens (clear, light enhancing, smoke) Revision Sawfly ballistic glasses can be purchased on e-bay for around £35-00. On the subject of prescription glasses, if you cannot see to route find without them, a second pair should be carried. Similarly, carry a backup compass, backup head torch, spare batteries so that if the primary item of kit fails there is always a substitute. The conditions this year also meant that bivvy bags were subjected to rigorous testing, as was racer clothing. It was interesting to note that many of the finishers at Kirk Yetholm were wearing winter mountaineering jackets, overtrousers, balaclavas, insulating gloves. Gone was the idea of fast and light, replaced by full weather protection. Trekking poles proved their worth as extra stability in gusting wind. Soft shell jackets (great for cold & dry conditions or light showers) showed their limitations by becoming waterlogged in the persistent driving rain. All this talk of kit, future racers can imagine their credit cards 'maxed out' and previous racers everywhere are nodding in agreement. I'm not going to pretend than in the past 10 years the cost of good quality outdoor kit in the UK has not become astronomic. Mountain jackets costing upwards of £400! Has the world gone mad? If I bought a jacket for that much money I wouldn't want to wear it for fear of it getting ripped or trashed. There is another way: If racers consider the Spine Race as a campaign, then planning and research should start 10 to 12 months in advance. This is time to look at product reviews, see what racers with similar strategies have used and find last years gear at on-line sale prices. In their blogs, many racers have lots of very good, lower cost kit suggestions. But keep in mind these have been tried and tested by them. It might not work for you. 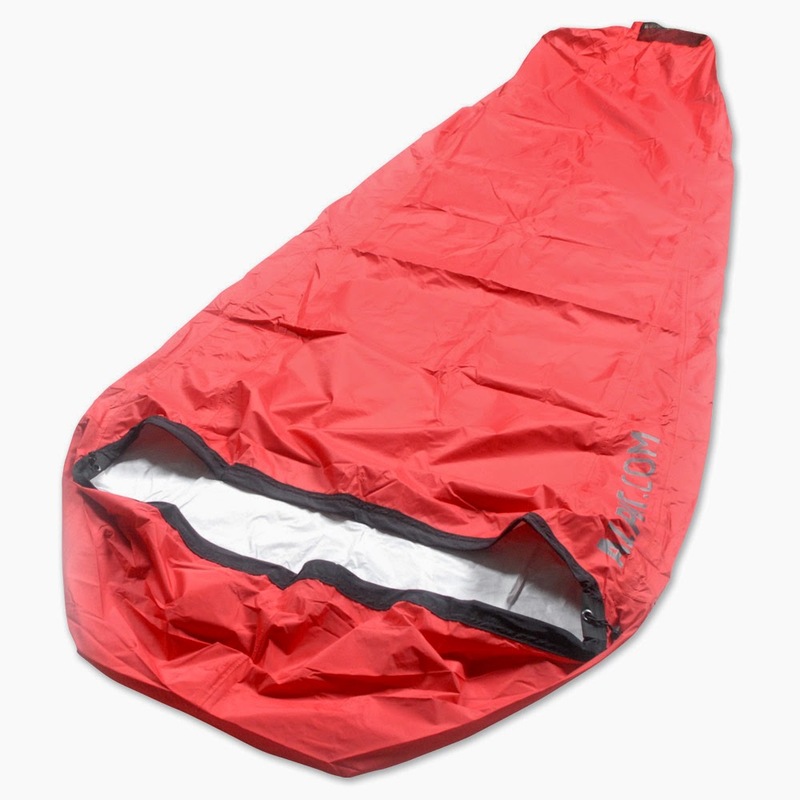 However, if a potential Challenger / Spiner does not own any (or hardly any) of the compulsory kit, it indicates that the racer has not had sufficient experience of mountain journeying in winter. Likewise, even if the potential racer does own this kit, has the racer really gained experience and subjected themselves, their skills and equipment to Spine levels adversity? Navigation, correct use of clothing and equipment, staying warm, hydrated, well fed, foot care, knowing how much to sleep, required ground speed, racing to to conditions, weather awareness, etc, etc, are all skills which need to work in parallel. There is always something to think about on The Spine. The Spine may not be at the budget end of Ultra Races, but this does not mean it is expensive. Lets look at what racers get for their money: A international quality race, over 7 days, drinks, dinner and breakfasts at checkpoints, bunkhouse accommodation, thorough pre-race safety briefings and checks, a Mountain Safety Team (numbering 30+ people), road head monitoring teams, checkpoint teams, several fully qualified doctors and pre-event training opportunities at very competitive prices. Compare the Spine to The Marathon Des Sable, another quality international race of similar time duration, which has been compared by several Spiners who have competed in both. Yes they are different environments, but highly accomplished ultra racers are saying The Spine is tougher! The MDS entry fee is nearly 8 times more than The Spine. Still not convinced? Lets pick an example closer to home. Try to book a 7 day fully supported and half board, walking holiday on a National Trail in the UK. There's not going to be too much change, if any, out of £500. Given a 10 month schedule: Testing of new clothing, new kit and exitsting personal skills should start at the beginning of March. The shoulder season will give an indication of any weaknesses without plunging into severe winter conditions. Before the later summer evenings, practice your night navigation, Spiners can expect to race in up to 14 hours of darkness each day. Having identified weaknesses, this often includes navigation, do something about it early. Join a local orienteering club, venture out with a friend with reliable skills, or engage the services of a qualified mountain leader. A little money spent on quality training will pay huge dividends in your chances of finishing the race. But you must keep up with regular practice and stretching your route finding challenges. Use the long summer days to get time out on the trail, accustoming your feet to long days, in multi-day walks. By all means reccie the Pennine Way if you wish, but remember that in January, in the dark winter, banging weather, it will not look or feel quite the same. So combine your reccie with some useful activity, such as kit familiarisation, tent / bivvy set up drills, navigation, marking up your map with course notes etc. As the winter nights close in, more night nav. Plus giving those kit items a final shakedown in rough weather. Sort out and pack your Spine rucksack and kit bag. Have you remembered every item on the compulsory kit list? There will be very little time to do this (& even less for mail order) in between Christmas and race start. January; arrive in plenty of time to be well rested, relaxed and fresh for the race briefings. If necessary arrive a day early instead of compromising your strategy even before the race has started. Booking at the nearby Rambler Pub or Edale YHA are popular options with the promise of a comfortable bed, good facilities, good food and opportunity to do that last minute personal kit faff, pre-race mental run through, visualisation etc or simply socialise and swap stories with fellow racers. Navigation remains a key skill for the Spine Race. We are not anti-GPS, it is a very useful tool for quick location confirmation, when tired or in testing conditions. However, GPS is not a substitute for 'heads up' navigation using map and compass. In working with Spine Racers for navigation training, I show that racers who are well practiced in journeying using a map & compass are more efficient in covering the ground. These clients also find that their enjoyment of being in the hills and mountains is increased by the ability to independently navigate with confidence. Right from the start the wind this year helped cement The Spine's reputation as being 'perfect in its brutality'. With reports of strong wind on the Kinder Plateau the Challenger race was briefly held soon after departure. The fastest racers who had beat the Booth hold point, were offered shelter in MST2's big camper bus, positioned at Snake Pass. As an unprecedented safety measure, the start of the full Spine was also delayed for a couple of hours to allow the squall to blow through. A succession of weather fronts forecast over the week, reported with 100% accuracy by Rob Lowton, meant the Spine MST Coordinators were kept very busy calculating weather windows, making recommendations to the Race Directors in order to allow the race to progress as seamlessly as possible. The second weather front hit with heavy rain and wind speeds peaking at 70mph as the racers reached Malham Tarn, Pen Y Ghent and the Cam High Road to Hawes. The walk to the top of Pen Y Ghent is very exposed and in order to locate the exit ramp off the mountain, the path comes close to cliff edges. There was no other choice to make than for the race to be re-routed around Pen Y Ghent. MST3 put up tents for what was to be a long shift, ensuring racers took the safer low level route. For me and the other MST Coordinators our decision was affirmed by experienced racers Richard Lendon and Gary Morrison arriving at Hawes saying they were so glad that they had not had to go over Pen Y Ghent and that the Cam High Road itself was some of the most savage conditions they had ever raced in. Severe weather warning. Rain, hail and accumulating snow. Severe wind chill. 100+ mph wind on summits. Due 12:00 midday and rapidly increasing in intensity. 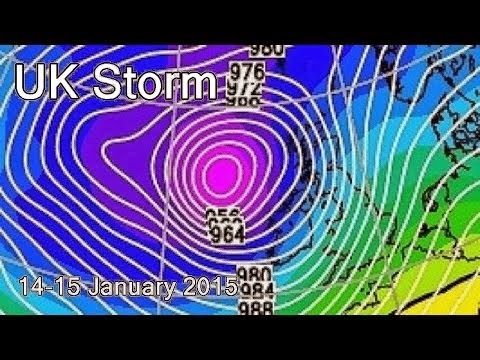 Storm Rachel, each isobar over the UK represents 10mph wind, hence 10 isobars = 100mph. We had reached a threshold of safety. At those wind speeds movement is extremely difficult, if not impossible. Making racers susceptible to being knocked down, hit by flying debris and unable to keep warm. Add to this the likelihood that a Mountain Safety Team would be unable to reach a casualty, several actions were taken: A cut off time for racers to ascend Cross Fell was implemented, with a alternative low level route for slower racers leaving Middleton. This ensured that all racers would arrive at Alston, with a factor of safety in case they had difficulties on the way. Understandably, there were questions from racers arriving at Alston as to why they were being held when it was glorious sunshine outside. However, within a couple of hours the weather had turned and by early evening, hurricane Rachel had hit. As the wind rattled the window panes and driving horizontal snow outside there was an acceptance that there would have been insufficient time for most racers to reach the sanctuary of Garrigill before the storm. A lot of MST work is assessing risk and taking appropriate action based on evidence and facts. When implementing actions, the only fair way to do this is to apply this across the field irrespective of capability, pedigree or place. However, it was appreciated when a couple of racers expressed their thoughts simply as 'good call'. I echo Race Director Scott Gilmour's post on Facebook: that the weather imposed decisions which had to be made in the interests of safety. These decisions were made without malice and implemented without favouritism. The Cheviot is the sting in the tail of The Spine. The last 26 (or so) miles over high exposed ground, with difficult road access. It is no secret that in the past we have had requested help from Borders Mountain Rescue. Help which they have been happy to give. Their comment was that they are comfortable with people wishing to test themselves if they go equipped for the challenge. Hence the compulsory Spine kit list. 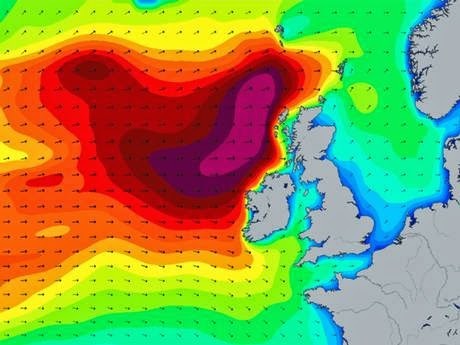 The hold, due to hurricane Rachel, had an interesting effect upon the race dynamic. With several more hours rest than they would have otherwise taken, Spiners exited the checkpoints with surprising speed and energy. The MSTeams followed our original plan (albeit in a more compressed time frame) to man the refuge huts and sequentially sweep over The Cheviot. This proved highly effective in performing welfare checks. MST were soon in position to assist a couple of racers who's energy had dipped. Minor care with hot drinks and a couple of hours sleep enables them to fulfill their appointment at The Border Inn and receive a thoroughly deserved Spine Finisher medal. Its worth reiterating that proper rest appeared to give most of the finishing racers extra energy and ground speed. Never before have we seen so many Spiners completing the final stage so quickly and looking so well as they arrived at Kirk Yetholm. Something that future racers may wish to dwell upon. Did we preserve the spirit and camaraderie of The Spine Race? Reading many of the 2015 racers blogs, I think we did. Was the 2015 Spine every bit the adventure of previous years? I believe so. From adversity comes adventure. Maybe not the adventure we were anticipating, but adventure none the less. Did everyone get to return home unharmed? Yes, barring some blisters and bruises, the mountains will still be there tomorrow, next week and next year. To this I would add that at no time did we need to request the help of Mountain Rescue. There were several MR volunteers who were observing the race and supporting friends who were racing. Their feedback was that the systems we had in place were effective and that safety decisions were considered and appropriate. This does not mean we are going to sit back with a single malt and rest on our laurels. There are areas which we shall continue striving to improve, in order to make the 2016 Spine MST the best it can possibly be. Finally, my sincerest thanks to my fellow MST Coordinators: Darren Hunt, Stu Smith, Jon Zeffert and Peter Lowton. A trusted, professional and experienced team who's hard work and was above and beyond. Currently sitting, sipping Talisker, but not resting on any laurels.